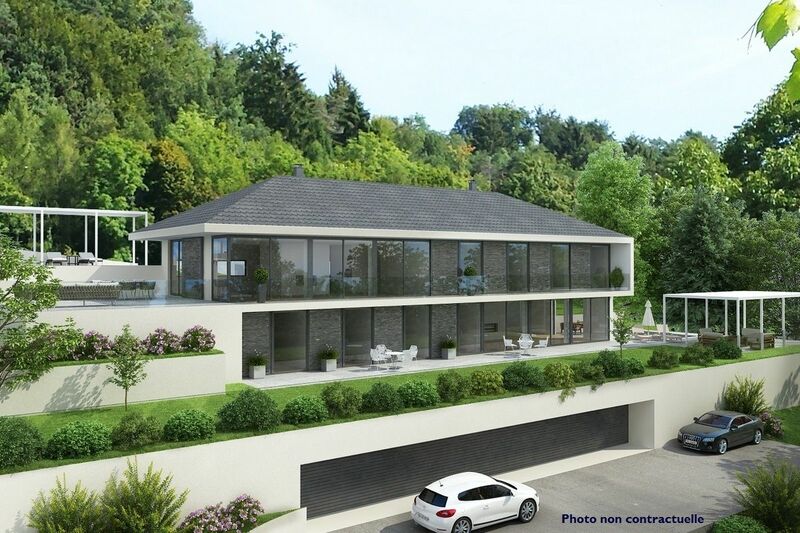 This new, luxury two-apartment residence is situated in the municipality of Bougy-Villars. 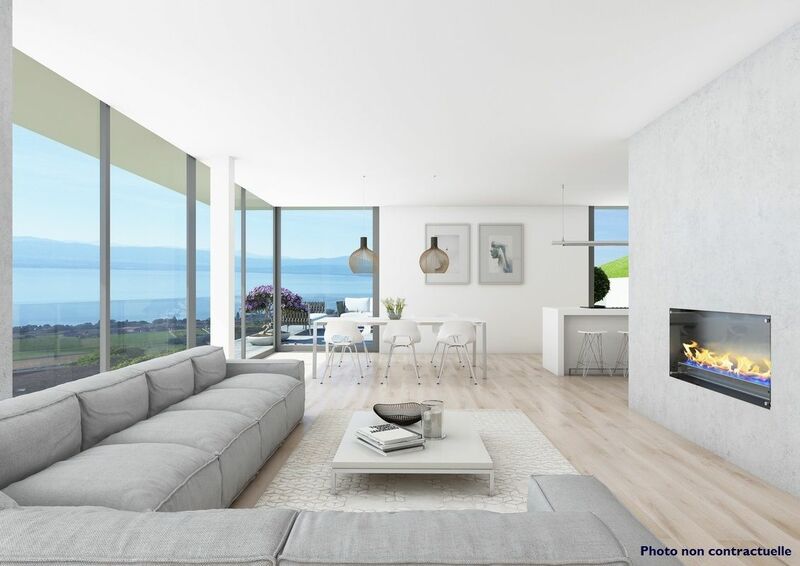 Located just a few minutes from the motorway, in the heart of the La Côte area of canton Vaud, Bougy-Villars enjoys a magnificent view over Lake Geneva and the Alps, dominated by Mont Blanc. These apartments are ideally situated overlooking the village in the heart of a peaceful residential neighbourhood. 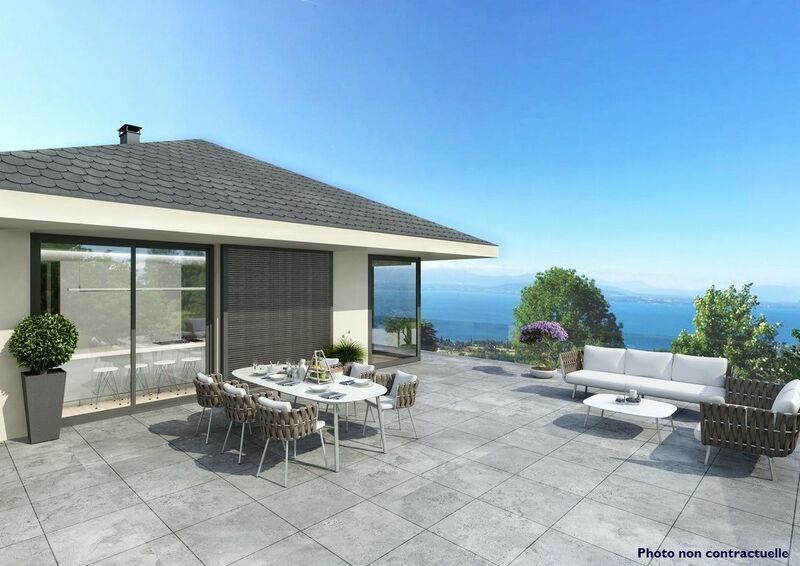 Standing amid leafy surroundings, they offer stunning unobstructed views over the Alps and Lake Geneva. This project was designed by Swissdev SA. Built using only the highest quality materials in a decidedly modern style, the apartments blend harmoniously into their surroundings. 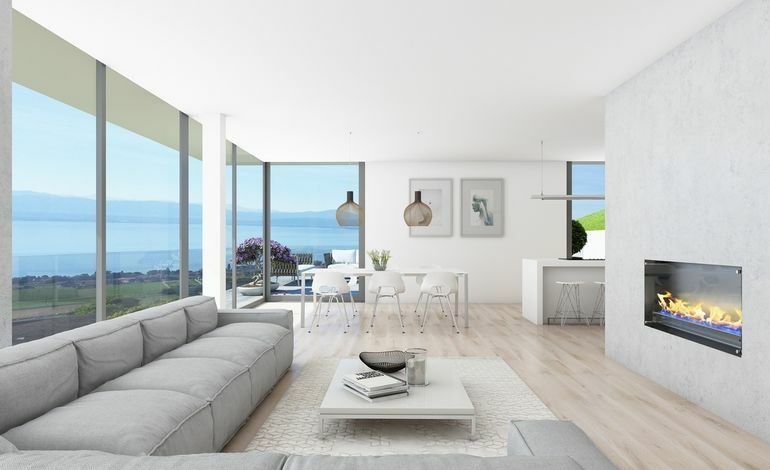 The simple architecture is characterised by clean lines and enhanced by bright rooms. The apartments feature state-of-the-art facilities. Ground-floor apartment: This ground-floor apartment offers 5.5 rooms with a total living area of 201 m². It comprises a spacious living/dining room of 52 m² with large windows that offer plenty of light and access to the 192 m² south-facing terrace and 224 m² private garden with the optional lap pool. The open-plan kitchen features a pantry and central island, and a guest washroom. The apartment also offers a bathroom and four bedrooms, one of which has an en-suite bath/shower room and dressing room. All bedrooms have direct access to the terrace. This property is also highly functional thanks to a private laundry room in the apartment, plus a cellar and two-car garage. The two apartments could be combined to create a single villa. Swissdev SA: Active in the field of real estate construction, Swissdev offers personalised design services in line with your needs. Its 30 years of experience and knowledge are at your disposal. Whether you’re a company or individual, it will support you throughout your project – from conception through to completion. All the company’s buildings are customised according to the client’s wishes, following very precise and detailed specifications. The team of specialists hold degrees in architecture and civil engineering and will advise you on the most efficient solutions to your needs.